Next year’s major 600MHz auction has cropped up many times as a subject of discussion online this past 12 months. And it’s no surprise, it’s billed as the biggest spectrum auction the U.S. has seen since 2008. Earlier this year, Sprint and T-Mobile (plus some smaller carriers) got their wish when the FCC pushed through new auction rules. These rules would stop Verizon and AT&T from using their superior buying power to consume all the spectrum. Under these rules a portion of the spectrum is reserved for the smaller carriers. Or – technically – reserved for carriers who don’t already own substantial amounts of low-band spectrum. 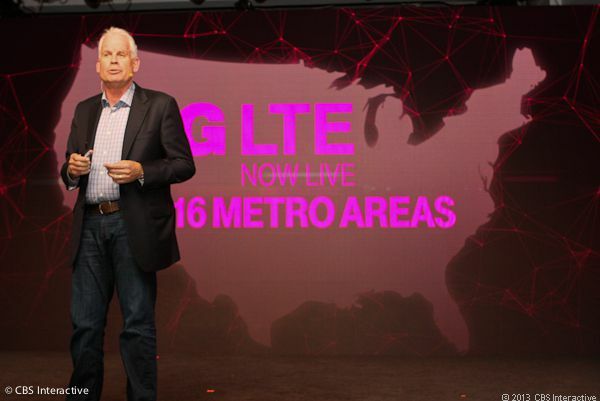 But T-Mobile’s latest move suggests that’s not enough. Setting aside up to 30MHz of the low-band spectrum for the smaller carriers is “insufficient to protect competition or meaningfully advance the stated goal of ensuring four robustly competitive nationwide carriers.” At least, it is according to T-Mobile. The language within the filing suggests that T-Mo is using the FCC’s own strongly held belief in the 4-carrier US market against it. And there are two possible reasons why. Firstly, there’s the fact that SoftBank/Sprint backed out of plans to merge with T-Mobile to form a much bigger, 3rd carrier because the regulators weren’t going to be convinced it was good for consumers. Secondly, there’s news that the FCC has sought to stop carriers from clubbing together to purchase spectrum as a joint venture. In short: If you want a competitive 4-carrier market, at least give us a chance of competing! Instead, T-Mobile wants the FCC to reserve up to half of the available spectrum for smaller carriers to make it a level playing field. The prime motivation is to protect itself in markets where the TV broadcasters have only given up 50MHz or 60MHz blocks of spectrum. In these situations, smaller carriers would only have 10MHz or 20MHz respectively, and that – according to T-Mobile – isn’t enough to build out a fast, robust and reliable network. Within the current rules, T-Mo argues, that AT&T and Verizon still have free access to unreserved spectrum and can acquire 20MHz each, while other, smaller carriers are blocked or forced to make away with the scraps. In markets where AT&T and VZW are blocked from bidding on the reserved spectrum, they generally already own 20MHz blocks, and still have access to the unreserved spectrum. Under T-Mobile’s plan, if broadcasters give up 100 MHz or 90 MHz of spectrum, 50 MHz would be reserved; if 80 or 70 MHz is given, 40 MHz would be reserved; if 60 or 50 MHz is given, 30 MHz would be reserved; and if 40 MHz is given, 20 MHz would be reserved. It’s certainly an interesting argument. And it’s unclear if the FCC plans on changing the auction rules again. But it’s not doom and gloom if T-Mobile only manages to get hold of 20MHz or less. In virtually every market where T-Mobile currently owns 700MHz band 12 spectrum (or is in the process of acquiring), it’s in 12MHz blocks. Which clearly, is less than the 20MHz the carrier would like to own. Still, you can’t blame T-Mo for attempting to get its hands on as much spectrum as possible. Because what will undoubtedly happen in the auction is that AT&T and Verizon will be able to take as much unreserved spectrum as they can afford. And their superior buying power will surely push smaller carriers aside. Indeed, the FCC should have similar rules for broadcasting: if the spectrum is not put to use within a certain period, it’s forfeited and goes up to auction again. They do have those rules. Guess how well they’re working? Hmmmm, interesting. I’d actually love to see the smaller carriers really expand their networks after this upcoming auction. I kind of feel like the FCC should just scrap the auction and just sell chunks for a fixed price; but selling to the smaller carriers first. that’s kind of what we’re going toward. Allocating certain smaller blocks to differing providers so no one gets the lion’s share? say up to 25% of the available spectrum in a continuous block. auctions kind of don’t make sense anyways, especially if you are reserving a portion of it. with the reserve as is, you limit the auction prices since there are really two Major players (tmo and sprint). without the reserve, what you end up is two Major players (big red and death star) just buying spectrum to c#ckbl#ck other carriers and sitting on it. and then with auctions, you’re not guaranteed a long continuous block, forcing companies to swap spectrum later anyways. Unfortunately, this is one of those cases where a completely free market doesn’t work, and it falls to the regulators to create a robust and competitive environment that’s reasonably fair to all. At least in ideal-land anyway. In real-life it looks like T-Mo is going to undercut the auction by grabbing as much 700 MHz A-block as they can. Because you can bet Big Red and The Death Star will buy as much 600 MHz as they can possibly squat on, and fund “partners” to squat on the rest. It’s an auction and the FCC can lay down what rules it feels like enforcing. I mean that in the sense of it’s their auction. They could easily say thatif you get a block, not an entire 600MHz but a portion, then you can’t bid on any other part of that whole block. There’s ways to make this fair but the FCC has to be willing to ignore the gripes of the lobbyist. I’m onboard with your thought process. Since both ATT and VZW were given spectrum for free decades ago, they should be denied as much spectrum in auctions as they got then. Fat chance! I’ve said it elsewhere, but the FCC has no business even allowing Verizon and AT&T access to the 600 MHz spectrum auction, they already own over 30×30 each of sub-GHz spectrum between the two 700 MHz bands and the 850 MHz band. If the FCC’s stated intent is to have four national carriers and robust competition, then Sprint and T-Mobile need to fight it out for the 600 MHz licenses, and add them to their existing 700 and 800 MHz portfolio. Even then it’ll only close the gap, since each one’s only got 5×5 MHz below 1 GHz, and they’re unlikely to get more then 20×20 out of this even without the big guys in there. I just hope Tmo gets ATLEAST 20MHz Nationwide.